Search “unfold.” A new window will pop up. Use the search bar in the upper left corner to search for “unfold.” If you don’t already have an account, you will have to create one in order to download the extension. It’s simple and it will give you access to great tools like this one! Unwrap and flatten faces. Click on the “unwrap and flatten faces” option. When it opens, you will have to log in if you are not already. Then install it by using the red install button in the top right corner. 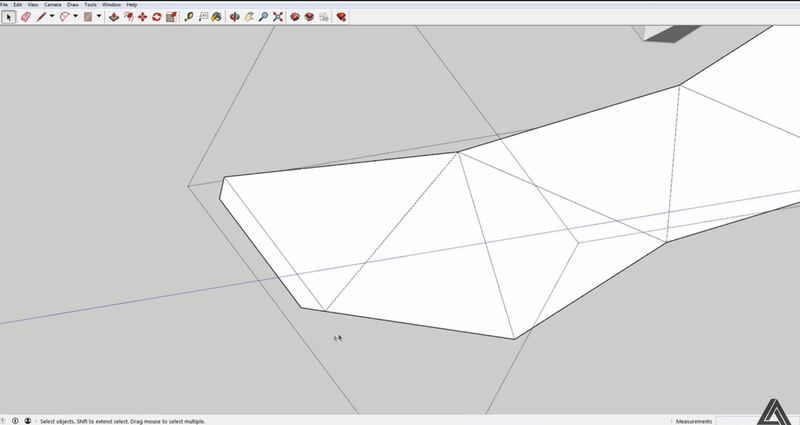 The image on the left of the window illustrates how this tool will turn a 3D model into a flattened plane. Right click > Unwrap and flatten faces > Unwrap and flatten. 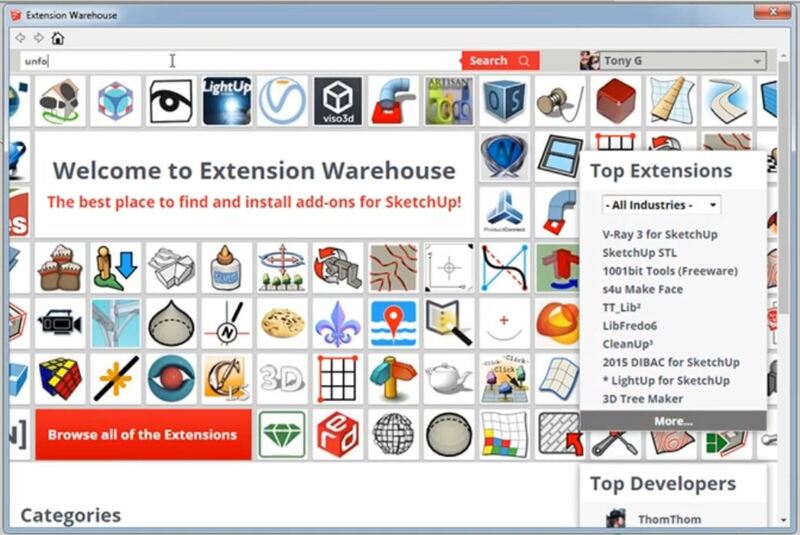 Once you have the extension installed, all it takes is the click of a button to use the sketchup unfold tool! Right click on your 3D model and hover over “unwrap and flatten faces” to select “unwrap and flatten.” A message may pop up warning you that errors may occur. Don’t worry, just press “ok” to continue. That’s it! 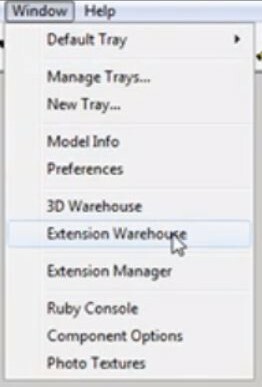 You’ve successfully used the sketchup unfold tool and you now have a flattened version of your 3D model that you can print out! If you want, you can use the line tool to add tabs on the edge of your faces. This will give the printed version another surface to use for gluing or taping and make the model more secure. Make sure the angle of the tab is greater than 45 degrees so that you can easily tuck it under the other faces! 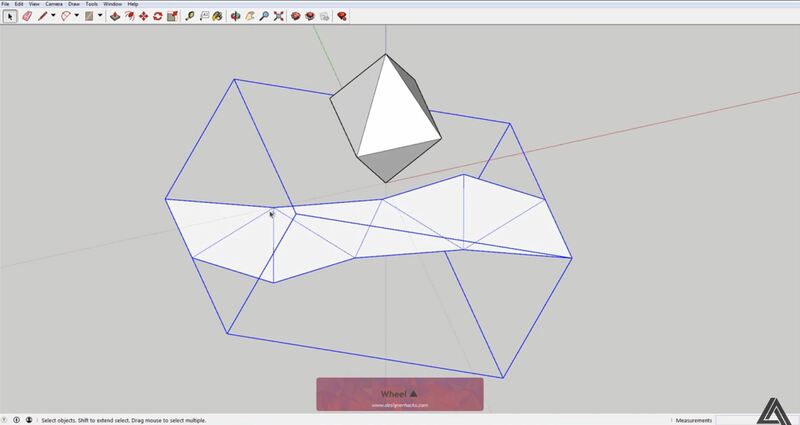 After you print it, just fold along the lines that connect each plane to create your 3D model. 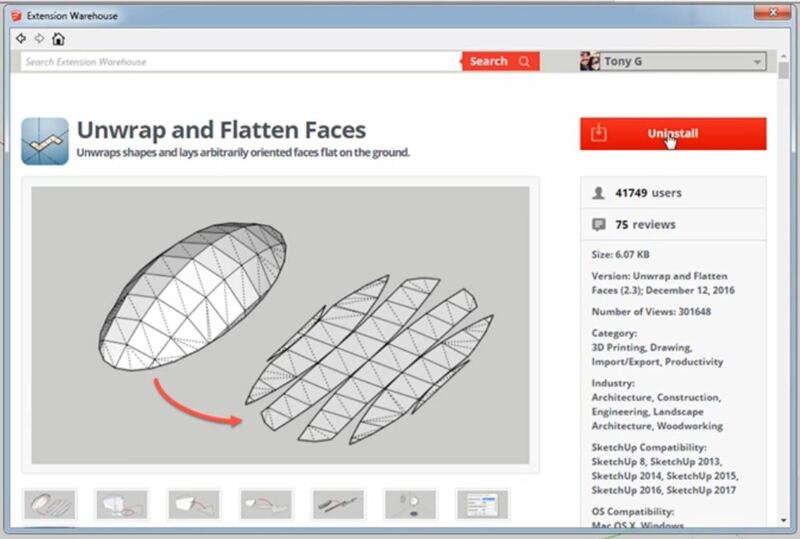 The Sketchup unfold tool is a great way to turn your digital models into paper versions that can be used for presentations, visualizing, or just for fun! 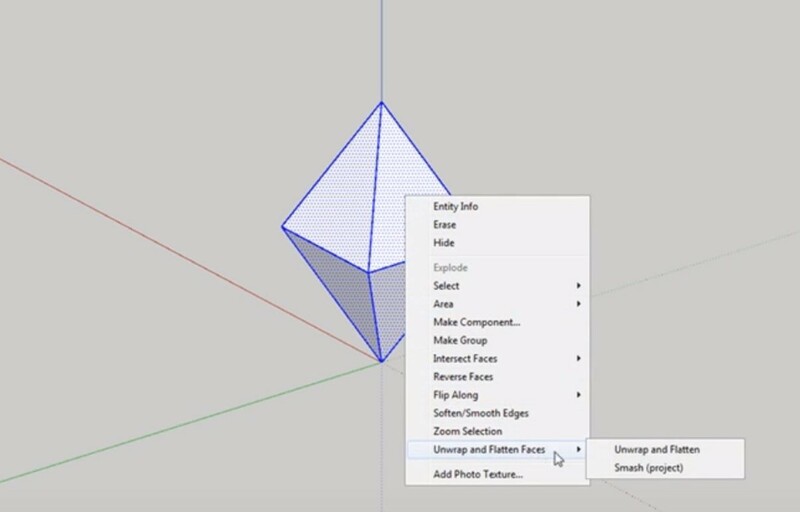 This is just one of the many tools you can use to speed up and simplify using Sketchup. We would love to know what kind of shapes you are unfolding, let us know in the comments below! Still want to learn more? Check out all of Sketchup our tutorials here. You can find something for every level from beginning to advanced.